Anglian Home Improvements have got two amazing competitions in the Telegraph this weekend, as well as an 8 page supplement full of hints and tips to get the most out of your home improvements. Have a read through the supplement on Saturday to see why solar is the energy of the future! 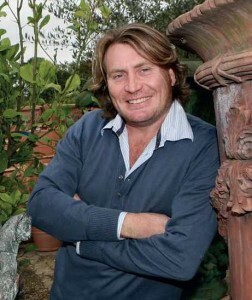 The second fantastic opportunity being offered Anglian Home Improvements is the chance to win a garden makeover from the award winning landscape designer, David Domoney! If you enter our exclusive prize draw, you could win the ultimate designer garden from David Domoney worth an incredible £10,000. Imagine what wonders he can bring to your garden! To enter this competition simply enjoy an Anglian Home Improvements sales presentation in your home between 16th April and 2nd May. Easy! For full terms and conditions go to www.anglianhome.co.uk/gardenmakeover.